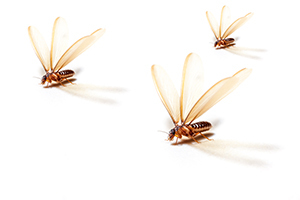 You may think termite tenting is the only solution if you’re dealing with a termite infestation in your home in Oceanside, California. However, Kilter Termite and Pest Control offers a treatment solution that is not only more effective, but also more convenient. There are a number of drawbacks to whole-house fumigation. For example, you’ll have to deal with the hassle and expense of finding alternative accommodations during the treatment process and ensure you have bagged up all of your food and medication. Additionally termite tenting is not always an effective long-term solution, as subterranean termites can simply burrow underground, only to return once fumigation is complete. In addition to offering a treatment solution that is superior to termite tenting, Kilter has a reputation for providing outstanding service. For example, we provide free termite inspections so our customers can assess their termite infestations without incurring any cost or obligation. For more information about what makes Kilter Termite and Pest Control’s termite treatment services superior to the termite tenting offered by most other companies in Oceanside, CA, contact us today.